Information on the topic seems to be fairly scarce or lightweight, which is why I wrote a comprehensive post on passive income a while back, in the hopes that it will help others with selling digital products. Since then I’ve been wanting to expand further on the topic and dive deeper into all the aspects of what it takes to create a successful digital product. And what better way to do that than with my fellow hosts of the podcast! Collectively we have a ton of experience on the topic. We had so much to say we ended up recording a series of three episodes. 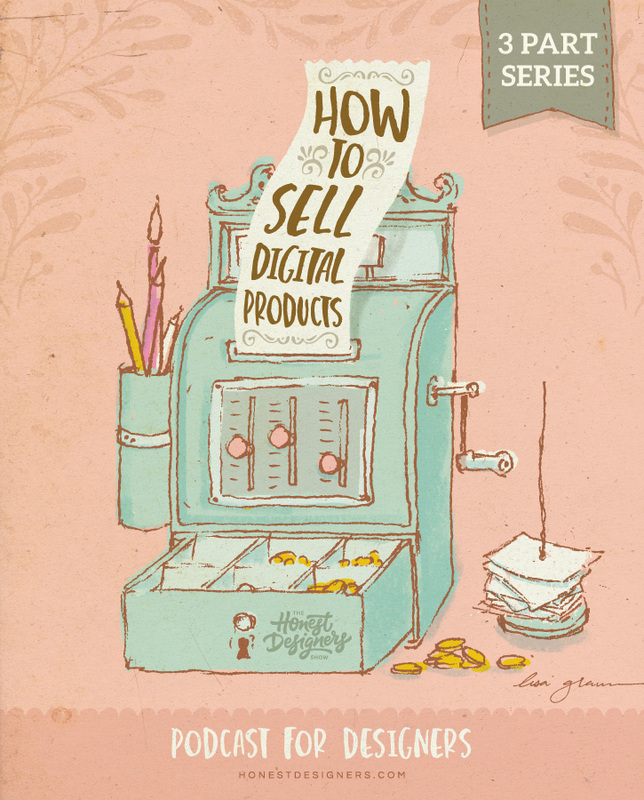 It’s a masterclass on all the aspects of creating and selling successful digital products with plenty of actionable points you don’t want to miss. Episode 75: An overview of selling digital products including brainstorming ideas, building and selling a hit product. Listen here. Episode 76: We dig in-depth on how to present your digital products by using stunning presentational graphics. Listen here. Episode 77: We take a look at how passive income often isn’t all that passive and the gritty realities of what it really takes to be successful. Listen here. I really enjoyed your last article on the subject. And this is all such valuable info. I’ve been wondering though when you sell your digital products, what keeps someone from taking. Size A3 print for example and printing it as a size A2? Is your file set in such a way that the print would get pixelated or are you just willing to take that “risk”? Thanks again for sharing all these info!! !